Children Jailed in Bitter Custody Battle Between Parents? July 11, 2015 | Karen T. Willitts, Esq. In June, 2015 a judge in Oakland County, Michigan held three children (ages 15, 10 and 9) in contempt of court and sent them to a juvenile detention facility. In that case, the children’s parents were in the midst of a high conflict five year divorce that included allegations of abuse and fear of parental kidnapping and dozens of court appearances. In the prior month, the family court judge blamed the children’s mother for poisoning the children’s attitudes towards their father. She ordered the children “to have a healthy relationship with your father” and she directed the children to have lunch with him. The children refused. According to news reports, the eldest child told the judge that he was sorry for “whatever” he did to the judge, but that he did not apologize for not speaking with his father, telling the judge that he had a reason for not talking to him, telling her that his father was violent and that he had seen his father hit his mother. When the teen denied any wrongdoing in refusing to speak to his father, the judge purportedly told him that he had done something wrong because he had defied her direct order to speak with and have lunch with his father, and she held the fifteen year old boy in civil contempt. She gave the 10 year old and 9 year old children a chance to have lunch with their father in the cafeteria of the courthouse, but they also refused and thus were also held in contempt of court. The children had two court appointed attorneys for them, but the attorneys did not object to the children’s incarceration and told the court that the children would not talk to them. The court directed that the children’s mother was not to see them for the summer. According to this story, reported in the Detroit Free Press and other national news outlets on July 9, 2015, the children had been incarcerated in the juvenile detention facility for two weeks and were not due for a review hearing until September 8, 2015. The children are apparently to be incarcerated in a juvenile facility without contact with their parents for the summer, at a minimum. I believe that most attorneys would say that this is a surprising and highly unusual result to parental alienation, which can on occasion occur in some high conflict divorces where a child or children reject one parent. Parental alienation occurs when a parent purposefully manipulates or convinces a child into believing that the other parent is the enemy, that the other parent is someone who is harmful or terrible in some way in order to sever the bond between the child and that other parent. In the 1970’s a psychiatrist named Richard Gardner proposed that there was a disorder called “parental alienation syndrome” based on his observation of children of divorce in his practice. “Parental Alienation Syndrome” (PAS), however, is a diagnosis that is not without its critics. In an unpublished Appellate Division decision in New Jersey decided at the end of 2014, our Appellate Court stated: “At the time of trial, PAS was not a recognized syndrome in the Diagnostic and Statistical Manual of Mental Disorders (DSM–IV), and it is not a recognized syndrome in the new fifth edition. The Supreme Court and this court have not yet determined that PAS is a scientifically reliable or generally accepted theory. The admission of novel scientific material like PAS must meet the test established . . . that the opinions are ‘generally accepted, within the relevant scientific community. '” M.I. v. A.I. 2014 WL 7010183 at *5 (App. Div. Dec. 15, 2014). There is other research that suggests a child may reject one parent for various reasons other than one parent alienating a child from the other parent. In high conflict divorces, it is possible that both parents are engaging in alienating behavior. Possibly, a child may blame one parent for the end of the marriage and the change to the family structure. A child may have difficulty adjusting to the divorce situation. Divorce can impact a child’s view of one parent as the child spends more one-on-one time with a parent. One parent may have a parenting style that is more rigid or more strict than the other or be less capable than the other parent. One parent may have less empathy or less concern for the child and what the child is going through. A parent might be sad, angry, withdrawn or depressed because of the divorce itself and may be less available to parent or nurture the child. It is possible that the child is being purposefully alienated from one parent but not by the other parent; sometimes one parent’s family members or someone else in the household may be alienating the child from one parent. A child may reject a parent for reasons that do not involve the other parent purposefully alienating the child from the other parent. Divorce often brings many challenging circumstances to which a child must adjust. However, researchers have pointed out that children of divorce are not always in pain. What children suffer from is conflict and, therefore, how the parents adjust to the divorce may be a large factor in how the children adjust to it. In the Michigan case above, the children’s rejection of their father was blamed by the court on the mother’s purposeful attempts to alienate the children from their father. It was apparently believed that the children were unjustifiably angry with their or unreasonably fearful of him because that is what their mother wanted. 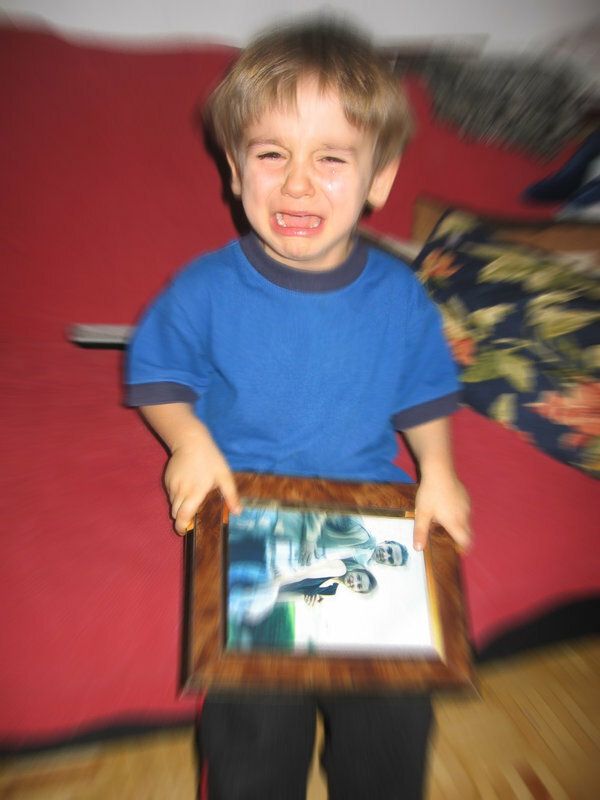 We do not know the circumstances, other than the parties were involved in a long-term high conflict divorce and the children were experiencing the consequences of that conflict by being deprived by the court of both parents and because they would not allow themselves to be forced against their will to see their father. The court did not succeed in directing the children to simply have a good relationship with their father. I think most family attorneys were surprised to hear of this result where a parent is blamed for engaging in parental alienation and yet the children are directly punished by the court. I, for one, was not surprised that simply directing children to have a good relationship with a parent is going to succeed when the children clearly feel as strongly as they do about that parent, and that it was not reasonable to believe that a simple lunch in a courtroom cafeteria is going to erase the impact of years of parental conflict on the children. It does seem like the court should direct the parents’ behavior. Parents going through a divorce, however, must realize that a family court judge is going to be examining the parents’ behavior if there is a custody battle and that parental alienation or other purposeful behavior that discourages a child from having a relationship with or spending time with the other parent, that can be counted against that parent in an a custody determination. Among the statutory factors our custody statute, N.J.S.A. 9:2-4, requires the family court judges to consider are: “. . .the parents’ ability to agree, communicate and cooperate in matters relating to the child; the parents’ willingness to accept custody and any history of unwillingness to allow parenting time not based on substantiated abuse; the interaction and relationship of the child with its parents and siblings; the history of domestic violence, if any; the safety of the child and the safety of either parent from physical abuse by the other parent; the preference of the child when of sufficient age and capacity to reason so as to form an intelligent decision; the needs of the child; the stability of the home environment offered; the quality and continuity of the child’s education; the fitness of the parents; the geographical proximity of the parents’ homes; the extent and quality of the time spent with the child prior to or subsequent to the separation; the parents’ employment responsibilities; and the age and number of the children”. In New Jersey, family courts are more inclined to obtain help for children who are either being alienated from another parent or who are for some other reason rejecting one parent, and it is incumbent upon the non-rejected parent to actively encourage the children to participate in that therapy. Sometimes reunification therapy with a counselor will occur so that the child and rejected parent can work through their issues and how to resolve them together in order to re-attach the severed parent/child bond. In the M.I. v. A.I. matter cited above, the trial court found that the defendant/father had been engaging in parental alienation, sting that he “has been instrumental in the children’s rejection of their mother. He has repeatedly taken the position with the children, with plaintiff, with this court and various experts that the children’s negative feelings towards their mother are justified and he has empowered them to speak and behave inappropriately to their mother, to question experts and authorities involved in this case and even to question the authority of this court. . . . The court finds that the defendant inappropriately involved the children in the parties’ dispute, discussed legal strategy with them and used them to gather information and bolster his claim that they became estranged from their mother by her own doing. When defendant should have shielded and protected the children from the turmoil of divorce, he forced them to take sides.” The family court ordered reunification therapy between the mother and children at Family Bridges in New Jersey and suspended the father’s contact with the children during the length of the program. After Family Bridges would not take the family with the mother having custody for that duration, the family court awarded the mother sole legal and physical custody and suspended the father’s visitation for the duration until further order of the court, appointing a therapist to evaluate and report on the relationship between the mother and children and the father’s willingness and propensity to support the children’s relationship with their mother. While the Appellate Division reversed the trial court’s decision, it was not based on the trial court’s finding of parental alienation and its sole focus without its evaluation on any of the other statutory factors but approved of the trial court’s efforts to allow the children to have relationships with both parents. 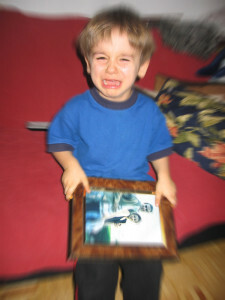 Whether or not the medical or psychological community accepts Parental Alienation Syndrome, it is apparent that it can be a problem with serious detrimental effects on the children, and when a child rejects one parent it is cause for a court to intervene and try to help these families in order to protect the bond between parents and children. Parents should strive to keep their children out of parental conflict and where possible avoid making children, particularly young children, feel that they have to “take sides”. In general you want to allow your children to have both parents involved in the children’s lives, and allow the children to express love and affection for both parents. Allow the children to feel enjoyment at the time spent with the other parent. The parents should strive to avoid fighting in front of the children, and they should try to get along with one another. Sometimes if parents fight about matters involving the children, the children can feel guilty over being a source of conflict. In that vein, try to avoid using the children to gain information about the other parent, and avoid using the child as a messenger to communicate with the other parent. Finally, while parents may not intentionally act in a way to alienate the other parent or try to cause the child to reject the other parent, criticizing the other parent to or in front of the children is also discouraged. First, criticizing the other parent, whom the child may be very bonded to, may backfire and the child may feel angry or upset at you for criticizing the other parent. Also, the child may view criticism of the other parent as a criticism of the child him/herself. Parents should strive to maintain love, stability and consistency for children. By way of update to this article, a 2013 article written by Dr. William Bernet, M.D., at Vanderbilt University School of Medicine and published in the newsletter of the American Academy of Child and Adolescent Psychiatry, suggests that while the DSM-5 still does not accept the term “parental alienation”, as a diagnosis, that may be other diagnoses available within the DSM-5 that address children are affected by “parental relationship distress”.